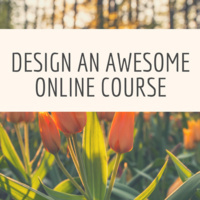 Take your online course to the next level by participating in a face-to-face 9-week series designed to help you efficiently develop or redesign your course. By the end of the series, you will have a completely finished course site, confidence with new technologies and strategies for managing your time and students. Join your colleagues in an interdisciplinary small group to share ideas and learn new tools and strategies guided by research-based, national standards.